By Susann E. Schetter, D.O. In 2009, Connecticut introduced the first state law mandating that women be informed of their breast density when they receive the lay letter results of their screening mammogram. Since then, another 12 states have legislated similar requirements with variable budget support for the increased costs of supplemental screening exams. The impetus behind these legislative changes is the understanding that increased breast density is associated with decreased mammographic sensitivity for the detection of breast cancer. Epidemiologic studies of early screening performance showed that increased breast density had a negative effect on mammographic sensitivity, termed masking bias.1 For this reason, vocal advocacy groups have pushed the agenda politically. This article reviews historical literature and summarizes recent data addressing breast density and the relationship to breast cancer risk. An overview of biochemical and genetic contributions to cancer development and increased PBD, as well as the contributions of hormones and aging is provided. Understanding the known risks conferred by increased breast density will enhance our ability to educate both patients and clinical colleagues when the inevitable questions arise concerning breast density and breast cancer screening. 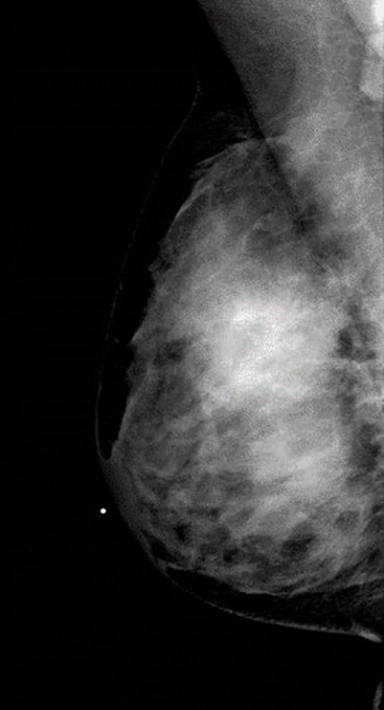 Radiologists are accustomed to observing and describing the appearance of the breast tissue on mammograms. In 1976, prior to the acceptance of widespread mammographic screening, John Wolfe published a seminal article in the American Journal of Roentgenology describing four breast parenchymal patterns: N1, P1, P2, DY (least to most dense). He determined that the cancer rate in the DY population to be 37 times that of the N1 group, and made recommendations for consideration of prophylactic mastectomy for women with a DY assessment.7 Forty percent of the cancers identified in his cohort were prevalent cancers (cancers present in the first screening round) due to the lack of routine screening available. Subsequently, it was apparent that the use of the Wolfe patterns was widely variable with poor inter-and intra-observer agreement. Fortunately, his conclusions were eventually shown to over-estimate the importance of breast density as a risk factor for breast cancer. Nevertheless, a positive relationship of breast density to the incidence of cancer was established. Certainly, high breast density decreases the conspicuity of breast lesions, and delay in the diagnosis of breast cancer remains in the top five errors in radiology malpractice claims. In fact, nearly 70% of these claims refer to women less than 50 years of age, accounting for 78% of all indemnity paid. In contrast, more than 75% of all typical infiltrating ductal carcinoma is seen in women over 50 years of age,10 paradoxically rising in a population with decreasing breast density and raising questions regarding the process of involution and extracellular factors that contribute to carcinogenesis. Yet, data support mammography as the best, albeit imperfect, screening modality, with a resultant decrease in mortality in all age brackets. In 1995, two articles were published in the Journal of the National Cancer Institute (JNCI) addressing the importance of breast density as a risk factor for the development of breast cancer. Boyd, et al. published the first computer-assisted, threshold measurement of breast density (Cumulus method), developed at Sunnybrook, Toronto, Ontario, Canada.3. This method includes the digitization of film/screen mammograms which are then presented for evaluation on a high resolution workstation. The observers select the outline of the breast as the first threshold to separate the structure of the breast from the background, and a second threshold is established by the observer to delineate the dense tissue from the non-dense breast tissue. The breast density was calculated as a percentage of “dense” pixels of the total area of the breast (Fig. 2).3 Boyd, et al.’s study excluded all prevalent cancers and all women who developed cancer within one year of entry into the study. The researchers found a statistically significant increase in the number of cancers developed in the women with the greatest breast density. This positive correlation was seen in all age groups, and a calculated increased relative risk of 5 – 6 fold was similar for both Radiologist-observed and quantitative threshold determination of the percent breast density. Subsequently, quantitative evaluations of larger data sets were published, to advance the understanding of these relationships. Harvey, et al. reviewed twelve breast density studies that used the computerized threshold method.11 An increased cancer risk was associated with increased breast density in every study, outcomes unaffected by masking bias. 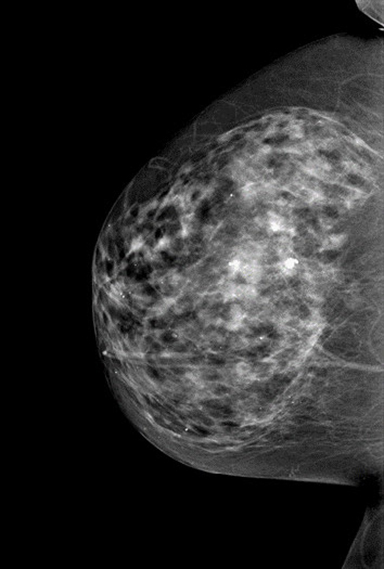 Incident breast cancer cases showed no dramatic change in breast density over the course of 2 – 8 years, proving that baseline density was as important as density at the time of diagnosis. Intrinsic factors contributing to breast density include age, genetics, serum and tissue hormone levels, and body mass index (BMI). Extrinsic factors include hormone supplements or replacement, diet, exercise, alcohol, and environmental factors. Hormonal influences contribute to higher breast density and higher levels of breast cancer in nulliparous women, as well as in those who have fewer children and at later ages. For women with larger areas of fibroglandular tissue and increased breast density, perimenopausal hormone effects can be dramatic. 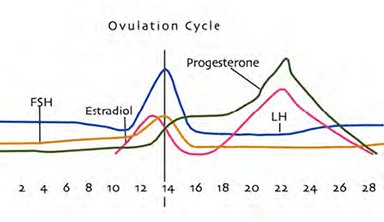 These effects arise from shortening of the follicular phase of the cycle and higher preovulatory estradiol levels contributing to increasing size and number of breast cysts. It is reasonable to assume that these changes in breast density are related to proliferative effects of endogenous hormones. Histologic evaluations have shown that morphologic changes in the tissue received from surgical and core biopsy specimens matched with the phase of the menstrual cycle.18 Specimens from women in menstrual days 6 – 15 showed clear distinction between epithelial and myoepithelial layers of the acini and an absence of stromal edema. Mitosis and apoptotic bodies were not present. In contrast, at days 25 – 28, epithelial cells showed prominent nuclei, large nucleoli, frequent mitotic figures, and increased apoptosis. Also present in the immediate pre-menstrual phase were increased inflammatory cells and extensive stromal edema.18 These histologic data support the recommendations for timing of imaging studies with the menstrual cycle. An unanswered question is whether cancers preferentially occur in sites of greater PBD. DCIS has been associated with mammographically dense tissue,27 but there is little evidence that this is true for invasive cancers. Most invasive cancers occur in the upper outer quadrant of the breast, the location of the greatest concentration of breast parenchyma.28 Vachon, et al. studied the location of tumors relative to breast density in 372 incident breast cancer cases and 713 matched controls, and determined that increased breast density represented a “general marker of breast cancer risk, not specific to breast side or location of the eventual cancer.”29 Some of the problems with this and other studies of its kind have been the application of rather crude estimations of regional breast density, lack of correlation with volumetric data, as well as other factors that contribute to radiographic breast density such as compression thickness, exposure factors, beam energy, and breast positioning. Measurements of breast density have historically been achieved either by visual inspection, or the application of a computer-assisted threshold method, in which the operator determines the distinction between dense and non-dense areas as described above. Although there has been considerably high intra-observer and inter-observer concordance reported, visual setting of a threshold is quite subjective. The two dimensional measurements cannot account for the nonuniform thickness of the periphery of the compressed breast, the 3-D non-uniformity of glandular tissue distribution, and the fact that quantification will always be subject to breast positioning (Fig. 4). In addition, published reports use a variety of measures including absolute and percent area density. Newer volumetric methods incorporate the Digital Imaging and Communications in Medicine (DICOM) data from the full field digital mammography (FFDM) image to quantify the amount of breast tissue, using both absolute and percent (relative) density by volume. These methods incorporate the effect of beam energy for the different target-filter combinations, half-value layer (HVL), kVp, and mAs, as well as compression thickness and degree of compression,30 and are highly reproducible for the data set of each image. Few studies are currently published to validate this volumetric approach. One comparison of threshold and volumetric methods showed no clear advantage in showing correlation with known breast cancer risk factors in a cohort of 370 screening cases,31 but a larger body of work is emerging. Spurring interest in the quantification of breast density is research aimed at the potential to modify a woman’s risk of breast cancer by altering (decreasing) breast density. Although changes in breast density have not been proven to confer protection or increase risk, the use of breast density as a biomarker for risk remains valid. If histologic changes could be matched to the imaging changes in breast density, the possibility of altering risk and preventing cancers becomes even more compelling. Eilertsen, et al. employed a fully automated, volumetric breast density assessment method to evaluate changes in breast density following HRT (increased density) and raloxifene therapy (decreased breast density). 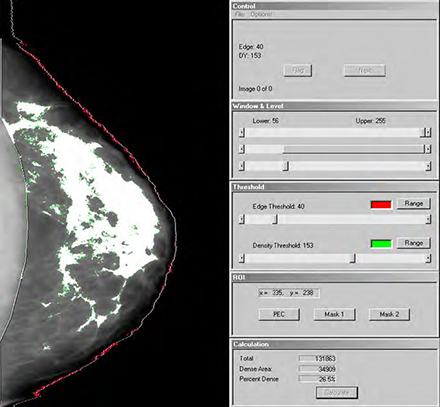 This confirmed the results of prior studies and offered insights into the potential of this tool to eliminate the subjective nature of human measurements.38 Volumetric methods have shown high correlation with MRI volumetric quantification of breast density.39 Positive relationships between dense tissue volumes and breast cancer risk have been proven with 3-D methodology.40 The mathematical 3-D methods which incorporate bio-physical principles in a reproducible and automated manner should be embraced as a superior method of assessing breast density. 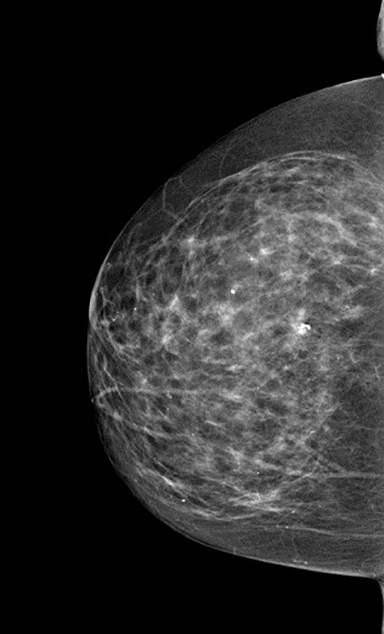 If increased PBD conveys a higher risk for breast cancer, can intervention to diminish breast density be protective? This, in part, depends on defining what contributes to breast density. Ductal and acinar epithelium is the site of breast cancer development, but abundant research suggests that density is not solely related to the presence of greater volumes of epithelium. Aromatase is an enzyme responsible for converting androgens to estrogens on a local level. Through the study of core biopsy tissue, it has been shown that the stromal cells have higher levels of aromatase immunoreactivity than the epithelial cells in areas of dense breast tissue.25 As a result, there is enhanced estrogen synthesis and a greater lifetime exposure to locally produced estrogen in the breast, independent of serum estrogen levels. Microdissection techniques have contributed to the biochemical and genetic understanding of the mechanisms of tumorigenic conversion of epithelial cells. There is a strong body of evidence that the extracellular milieu of the fibroglandular tissue is as important as the epithelium in carcinogenesis. Following microdissection of epithelium from the surrounding tissues, transcriptional profiling can differentiate the effects related to these epithelial cells verses the stroma, consisting of fibroblasts, myoepithelial cells and extracellular matrix. Carcinoma-associated fibroblasts (CAF) are shown to promote tumorigenic conversion of initiated epithelial cells when added to epithelial cell cultures. Fibroblasts and myoepithelial cells from normal tissue are shown to suppress this transition. The transformation of these stromal cells is key in the transition of normal epithelial cells to invasive disease.42,43 Stroma and the extracellular milieu are integral to cancer development. PBD is a surrogate for breast cancer risk. As an independent marker, it can also be influenced by interventions such as hormone therapy, diet, physical activity, and SERMs. 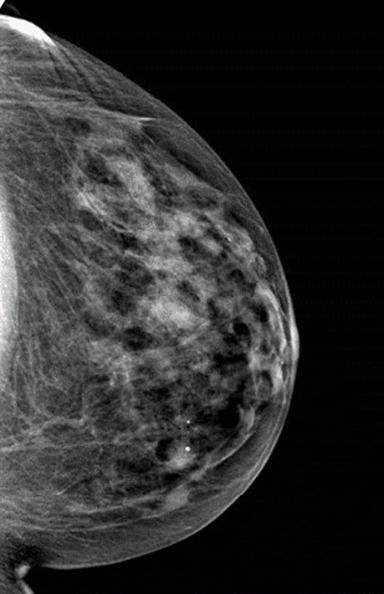 In addition, high breast density decreases the conspicuity of breast lesions, and delay in the diagnosis of breast cancer remains in the top five errors in radiology malpractice claims. Increased density is present in 30% of postmenopausal women, occurring with greater frequency than other well recognized risk factors. Cyclical hormone changes influence breast density, but effect is conveyed long-term effect is uncertain. The potential to prevent more cancers through intervention is an attractive subject of much research. Beyond the action of state legislatures, current trends suggest that the FDA may include this metric for MQSA certification. Commercialization of volumetric technology that provides an objective quantification of breast density is available and its use is becoming wide spread. Incorporation of this information in the breast cancer risk assessment should be studied and its value to population health management determined. New data derived from technological advances in bioscience and volumetric measurement should further elucidate the important relationship between PBD and cancer. As a result, cost effective strategies for the stratification of risk and the informed application of supplemental breast cancer screening for women in any given population may be possible. Van Gils CH, Otten JD, Verbeek AL, et al. Effect of mammographic breast density on breast cancer screening performance: a study in Nijmegen, The Netherlands. J Epidemol Community Health 1998; 52(4):267-271. Carney PA, Miglioretti DL, Yankaskas BC, et al. Individual and combined effects of age, breast density and hormone replacement therapy use on the accuracy of screening mammography. Ann Intern Med 2003; 138:168-175. Boyd NF, Byng JW, Jong RA, et al. Quantitative classification of mammographic densities and breast cancer risk: results from the Canadian National Breast Screening Study, J Natl Cancer Inst 1995; 87:670-675. McTiernan A, Martin CF, Peck JD, et al. Estrogen Plus Progestin Use and Mammographic Density in Postmenopausal Women: Women’s Health Initiative Randomized Trial. J Natl Cancer Inst 2005; 97(18):1366-1376. Laya MB, Gallagher JC, Schrieman JS, et al. Effects of postmenopausal hormonal replacement therapy on mammographic density and parenchymal pattern. Radiology 1995; 196(2):433-7. Chow CK, Venzon D, Jones EC, et al. Effect of Tamoxifen on Mammographic Density. Cancer Epidemiol Biomarkers Prev 2000; 9(9):917-921. Wolfe JN. Breast patterns as an index of risk for developing breast cancer. Am J Roentgenol 1976; 126(6):1130-1137. American College of Radiology (ACR). ACR breast imaging reporting and data system (BI-RADS). Reston, VA: American College of Radiology, 2003. Byrne C, Schairer C, Wolfe j, et al. Mammographic features and Breast Cancer Risk: Effects with Time, Age and Menopause Status J Natl Cancer Inst 1995; 87(21):1622-29. Howlader N, Noone AM, Krapcho M, et al (eds). SEER Cancer Statistics Review, 1975-2009 (Vintage 2009 Populations), National Cancer Institute. Bethesda, MD, http://seer.cancer.gov/csr/1975_2009_pops09/, based on November 2011 SEER data submission, posted to the SEER web site, April 2012. Harvey JA, Bovbjerg VE. Quantitative assessment of mammographic breast density: Relationship with breast cancer risk. Radiology 2004; 230:29-41. McCormack VA, dos Santos Silva I. Breast density and parenchymal patterns as markers of breast cancer risk: a meta-analysis. Cancer Epidemiol Biomarkers Prev 2006; 15(6):1159-69. Porter GJ, Evans, AF, Comford EF, et al. Influence of mammographic parenchymal pattern in screening-detected and interval invasive breast cancers on pathologic features, mammographic features and patient survival. Am J Roentgenol 2007; 188(3):676-83. Palomeres MR, Machia JR, Lehman CD, et al. Mammographic density correlation with Gail model breast cancer risk estimates and component risk factors. Cancer Epidemiol Biomarkers Prev 2006; 15(7):1324-30. Lee CH, Dershaw DD, Kopans D, et al. Breast cancer screening with imaging: recommendations from the society of breast imaging and the ACR on the use of mammography, breast MRI, breast ultrasound and other technologies for the detection of clinically occult breast cancer. J Am Coll Radiol 2010; 7(1):18-27. White E, Velentgas P, Mandelson MT, et al. Variation in mammographic breast density by time in menstrual cycle among women aged 40-49 Years. J Natl Cancer Inst 1998; 90(12):906-10. Amarosa AR, McKellop J, Klautau Leite AP, et al. Evaluation of the kinetic properties of background parenchymal enhancement throughout the phases of the menstrual cycle. Radiology 2013; 268(2):356-65. Ramakrishnan R, Khan SA, Badve S. Breast morphology in the menstrual cycle. Mod Pathol 2002; 15(12):1348 -1356. Milanese TR, Hartmann LC, Sellers TA, et al. Age related lobular involution and risk of breast cancer. J Nat Cancer Inst 2006; 98(22):1600-7. Ghosh K, Vachon CM, Pankratz VS, et al. Independent association of lobular involution and mammographic breast density with breast cancer risk. J Natl Cancer Inst 2010; 102(22):1716-23. Boyd N, Dite GS, Stone J, et al. Heritability of mammographic density, a risk factor for breast cancer. New Engl J Med 2002; 347:886-889. Del Carmen MG, Halpern EF, Kopans DB, et al. Mammographic breast density and race. Am J Roentgenol 2007; 188:1147-50. Boyd NF, Martin LJ, Li Q, et al. Mammographic density as a surrogate marker for the effects of hormone therapy on risk of breast cancer. Cancer Epidemiol Biomarkers Prev 2006; 15(5):961-6. Lokate M, Peeters PHM, Peelen LM, et al. Mammographic density and breast cancer risk: the role of the fat surrounding the fibroglandular tissue. Breast Cancer Res 2011; 13: R103,1-8. Vachon CM, Sasano H, Ghosh K, et al. Aromatase immunoreactivity is increased in mammographically dense regions of the breast. 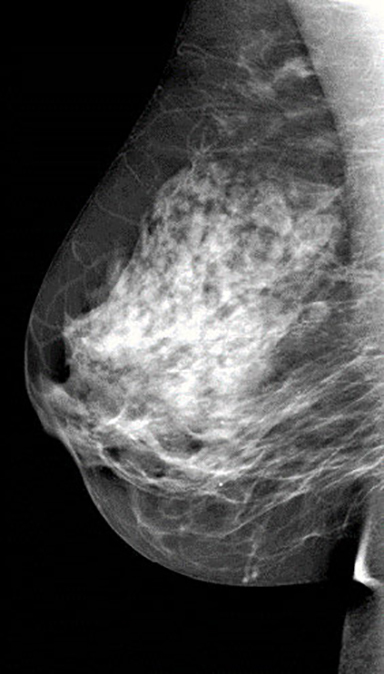 Breast Cancer Res Treat 2011; 125:243-52. Grossman ME, Ray A, Nkhata KJ, et al. Obesity and breast cancer: status of leptin and adiponectin in pathological processes. Cancer Metastasis Rev 2010; 29(4):641-53. Ursin G, Hovanessian-Larsen L, Parisky YR, et al. Greatly increased occurrence of breast cancers in areas of mammographically dense tissue. Breast Cancer Res 2005; 7(5): R605-608. Pereira SM, McCormack VA, Hipwell JH, et al. Localized fibroglandular tissue as a predictor of future tumour location within the breast. Cancer Epidemiol Biomarkers Prev 2011; 20(8):1718-25. Vachon CM, Brandt KR, Ghosh K, et al. Mammographic breast density as a general marker of breast cancer risk. Cancer Epidemiol Biomarkers Prev 2007;16(1):43-49. Heine J, Cao K, Rollison DE. Calibrated measures for Breast Density estimation. Acad Radiol 2011; 18:547-555. Lokate M, Wallenberg MG, Karssemeijer N, et al. Volumetric breast density from full field digital mammograms and its association with breast cancer risk factors: A comparison with a threshold method. Cancer Epidemiol Biomarkers Prev 2010; 19(12):3096-4105. IARC. Handbook of Cancer Prevention, vol.6. Weight control and physical activity. Lyon, France: IARC, 2002. Siozon CC, Ma H, Hilsen M, et al. The association between recreational physical activity and mammographic density. Int J Cancer 2006; 119:1695-1701. Woolcott CG, Coumeya KS, Boyd NF, et al. Mammographic density change with 1 year of aerobic exercise among postmenopausal women: a randomized controlled trial. Cancer Epidemiol Biomarkers Prev 2010; 19(4):1112-21. Voevodina O, Billich C, Arand B, et al. Association of the Mediterranean diet, dietary supplements and alcohol consumption with breast density among women in South Germany: a cross-sectional study. BMC Public Health 2013; 13:203-11. Vachon CM, Kushi LH, Cerhan JR, et al. Association of diet and mammographic breast density in the Minnesota breast cancer family cohort. Cancer Epidemiol Biomarkers Prev 2000; 9:151-60. Vogel VG, Costantino JP, Wickerham DL, et al. Update of the National surgical adjuvant breast and bowel project study of tamoxifen and raloxifene (STAR) P-2 trial: preventing breast cancer. Cancer Prev Res 2010; 3:696-706. Eilertsen AL, Karssemeijer N, Skaane P, et al. Differential impact of conventional and low-dose oral hormone therapy, tibolone and raloxifene on mammographic breast density, assessed by an automated quantitative method. Br J Obstet Gyn 2008; 115(6):773-79. Van Engeland S, Snoeren PR, Huisman H, et al. Volumetric breast density estimation from full field digital mammograms. IEEE Trans Med Imaging 2006; 51:2695-713. Shepherd JA, Kerlikowske K, Ma L, et al. Volume of mammographic density and risk of breast cancer. Cancer Epidemiol Biomarkers Prev 2011 Jul; 20(7):1473-82. Li T, Sun l, Miller N, et al. The association of measured breast tissue characteristics with mammographic density and other risk factors for breast cancer. Cancer Epidemiol Biomarkers Prev 2005, 14:343-49. Pandey PR, Saidou J, Watabe K. Role of myoepithelial cells in breast tumor progression. Front Biosci 2010; 15:226-36. Cichon MA, Degnim AC, Visscher DW, et al. Microenvironmental influences that drive progression from benign breast disease to invasive breast cancer. J Mammary Gland Biol Neoplasia 2010; 15:389-97. Byrne C, Colditz GA, Willett WC, et al. Plasma Insulin like growth factor (IGF) I, IGF-binding protein 3 and mammographic density. Cancer Res 2000; 60:3744-48. Yee, Rosen N, Favoni RE, et al. The insulin-like growth factors, their receptors, and their binding proteins in human breast cancer. In: Lippman M, Dickson R (eds). Regulatory mechanisms in breast cancer. Boston, MA: Kluwer Academic Publishers; 1991, 93-106. Schetter SE. Breast Density as an Independent Risk Factor for Cancer. J Am Osteopath Coll Radiol. 2014;3(1):10-19. Dr. Schetter is Chief, Division of Breast Imaging, Penn State Milton S. Hershey Medical Center, Hershey, PA.